Wasn't rip the one that tried to make everyone a fatass and believed vertical jump couldn't be increased. Vertical jump is one of those physical parameters that is largely controlled by genetics. Like calves, you either have them or you don't. VJ can go up maybe 25-30% and that's all. It's impossible to improve without improving absolute strength, and this is why practice-based programs that simply apply plyometrics and jumping always fail if they don't include squats. If you're confident that most of your easily-available squat strength has been developed, and that you have then exhausted the potential for plyometric training to turn strength into explosion, the only thing available to you is the Olympic lifts. Cleans and snatches will be the tools that allow an already-conditioned jumper to make a little more increase. "Vertical jump is one of those physical parameters that is largely controlled by genetics. Like calves, you either have them or you don't. " that quote always cracks me up.. everything is controlled by genetics, unless we introduce a stimulus which causes the adaptations we seek.. that's why we lift weights etc, funny.. sprint speed is genetic, jumping is genetic, strength is genetic.. everything is genetic, you either have it or you don't AT THIS VERY INSTANT, but that doesn't mean you can't acquire it through proper intensive training. rippetoe definitely aint got no hops. That was my point all along. 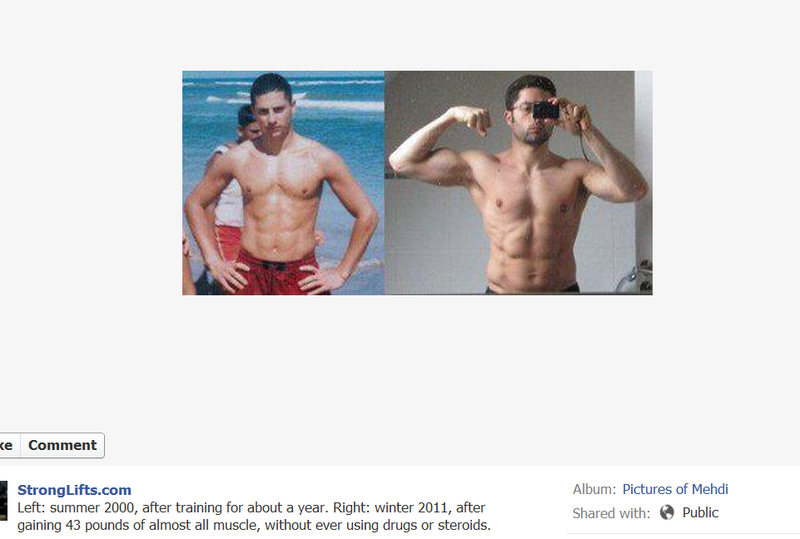 The guy is delusional and thinks he looks good and actually gained that much muscle.. Has nothing to do with "you have to look good to tell people how to train", yet you retards who criticized me missed that boat.